A plaid shirt is more than a style of a shirt — it can evoke good memories of your youth: a multicolor plaid tied around your waist with black jeans listening to your favorite band perform live. Another plaid can evoke favorite memories of being unplugged from the world, cooking by campfire somewhere deep in the backcountry. And everywhere in between. 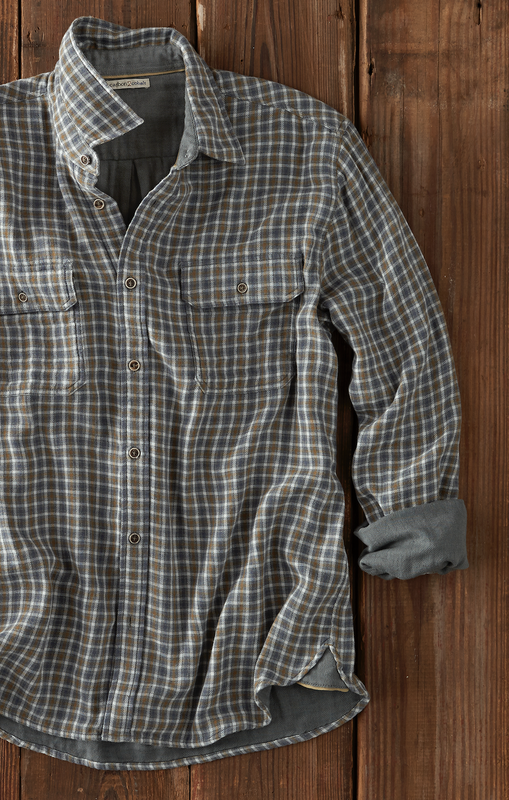 The plaid shirt has become an iconic element in every guy's wardrobe. When we stop and think about it — we realized this is a style of shirt that has endured whatever the trend; from our tragically hip youth to adulthood's necessities of work. 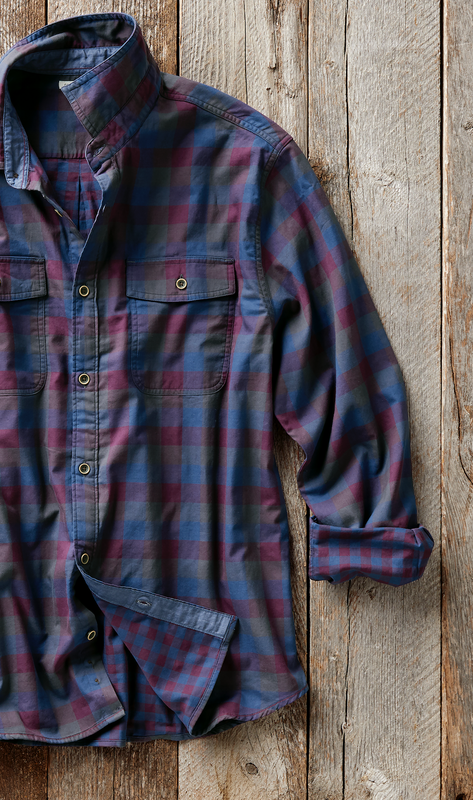 The plaid has always been there by our side, ready for whatever our days bring. So, as Fall approaches (quite possibly the plaid shirt's favorite season), we suggest maybe taking a moment to appreciate The Plaid Shirt and consider some new updates for your Fall wardrobe. Yes, we've perhaps put an unusual amount of thought into the matter, but we do so, so you don't have to. We’ve made it easy with seven easy ways you can fit the plaid shirt into your day-to-day (and perfectly attuned to your own personal style and taste). Sometimes adding color can be just too. much of a standout. But, there’s no reason why you can’t enjoy a the right combination of color to keep the balance right. Plaids are a great way to enjoy hues that suit your mood or your style — with just the right amount of seasoning to keep things interesting. Plaids are a perfect way to ease into a new season like Fall. Wear them casually, unbuttoned with your favorite tee underneath — and you’ll find it’s a look that’s ready for anything. You’ll get compliments, yet be completely at ease — because you’ll be perfectly in your element. At times, you may gravitate towards keeping things simple, but still want to avoid looking like a stuffy bore. Search out this perfect pairing of tone and sharp lines that work perfectly in the office. Roll up your sleeves and be comfortably on your game to tackle any project or meeting. When craftsmanship are top-notch and a shirt instantly feels like something special, bright and bold colors can work perfectly. Perfect to make a great impression during meetings at work or to look your very best during date night. Plaids are great, but sometimes you can get yourself in a rut of too many similar tight patterns and colors. Find a refreshing updated take with colors that go great with jeans and feel wide open and like a breath of fresh air. 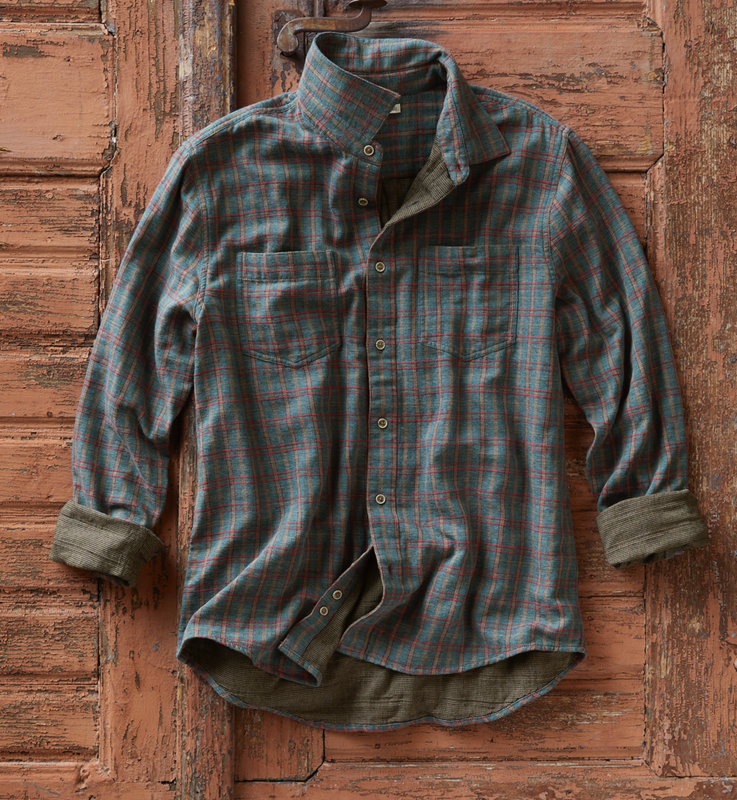 Make a ritual like a morning coffee, a plaid can be a welcome comfort as the weather grows colder. With our super soft, brushed signature double-cloth, a Carbon2Cobalt plaid quickly stands out because of its immediate comfort and old-favorite feel. Little details add up and fit perfectly for the time of year. Ask any surfer what they grab after the waves and they’ll describe a substantial, yet soft broken-in plaid that wears perfectly as an outer layer. Yeah, you can wear it buttoned up too, but why? This could easily become your favorite go-to as you grab the keys and head out to the next adventure.